Let's face it. Pets are part of the traditional family unit. It's a rare occurrence that anyone adopts a pet for their ability to be great tenants and help out with the housework. They're not responsibilities, they're part of the family. They're creatures to be nurtured, protected, and cared for. 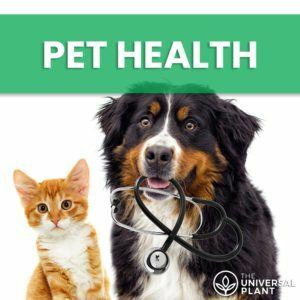 Most people don't know that cannabis has been used in veterinary medicine for nearly as long as humans have used it to treat common health issues. As far back as thousands of years ago, the ancient Greeks used cannabis to treat horses for colic, inflammation, and wound healing (study). Although much of the previous work has been lost to time, vets have recently re-discovered the benefits of cannabis to treat medical conditions in pets. Pets suffering from pain, inflammation, arthritis, cancer, seizures, and digestive issues have all had success using cannabis to relieve their symptoms. In this article, we revisit the use of cannabis to treat cats and dogs. We'll go over the applicable conditions, important CBD dosing information, how to choose CBD products for pets, and where to get the best products for your fur-faced companion. All higher forms of animals have an endocannabinoid system (ECS). Every animal from humans, to slugs have the basic components of the ECS; namely, endocannabinoids, CB receptors, and corresponding enzymes. While all animal's endocannabinoid system functions in much of the same way, there are differences between species we need to take into consideration when treating our four legged family member with cannabis. Dogs are especially unique since they have more endocannabinoid receptors in their brainstem and cerebellum than any other species. Humans don't have almost any receptors in the brainstem. That's why it's near impossible to die from an overdose of cannabis. You can't consume enough for that to ever be an issue. But for a dog, excessive amounts of THC could affect their heart rate, breathing, and muscle coordination. A dog could even lose bowel and bladder control. It's not uncommon to find them swaying back and forth and struggling with balance. These symptoms of a toxic overdose can last from a few hours, to days (during which time your dog might not be able to eat or drink for himself). Cats, on the other hand, are safer than dogs because they react to a THC overdose like a human. However, their experience may be worse because they're so small. It's rare (I would say it's impossible, but just in case...) for a pet to die from a THC overdose, but because dog's have active receptors that control vital organ function, and due to cat's small size, it's best to start with as little THC as possible. Starting with medicine with 0.3% THC or less is best. We recommend not administering THC to your pet without supervision, unless the possible benefits outweigh risks. How we treat each of these conditions depends. According to CBD: A Patients Guide To Medical Cannabis, "the relative ratio of CBD to THC is as important to successful treatment as is the actual amount of each compound present in a medication." 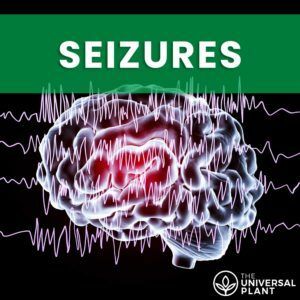 They go on to provide the following example: "a formula that is well suited to fight cancer often will have a higher THC content, whereas one designed for seizures will have a higher CBD content." Now that you know how CBD can help your pet, let's talk about safely administering medication to your furry loved-one; with as little drama for everyone involved. Animals have not been studied as extensively as humans. As of now, the only consideration of this kind is what the ratio of CBD:THC is in the product. The rest of the cannabinoids, terpenoids, and other compounds do not factor into creating or choosing products that treat conditions in animals. The only acceptable delivery methods for animals are oral and topical. It's possible that an insertable might work, but those are dose individually for humans. While the ingredients are the same, the dose would be far too much for your pet. Therefore, we recommend sticking to oral medication or topical creams (if applicable). 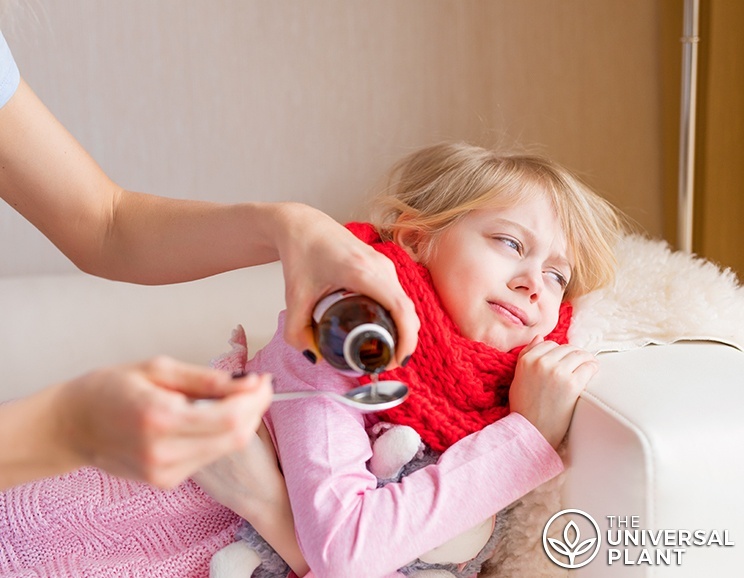 Dosing an animal is not like dosing a very small human. Their endocannabinoid systems are structured a bit differently than ours, and treating them as a miniature version of yourself could land your pet in the emergency room. Most products have consumption recommendations on the label. If so, you should follow that. If it does not have recommended use directions, then we suggest going by the following guidelines given to us by the book, CBD: A Patients Guide to Medicinal Cannabis. With the above guidance, you shouldn't have a problem giving your dog CBD, and you won't run the risk of overdosing your dog with THC. The products listed below aren't the only medications that can be effective in treating dogs. For a larger selection of products, see our recommended products page. King Kanine's 75 mg CBD oil is just one of a line of products they provide made just for dogs. From treats, to balms, and even a soothing spray, they've focused all their efforts on your "Kanine." Elixinol offers a dog treat that could have been made in my own kitchen. With only organic, whole, natural ingredients. They have small dog size (1 mg CBD per treat) and large dog doses (3 mg CBD per treat). Hemplucid sells CBD oil made just for feline friends (they also have a line for dogs and humans). It's fish flavored so there's a chance your cat might actually like it, making your life easier. Want more? See the list below for more posts about using CBD to treat your pet.